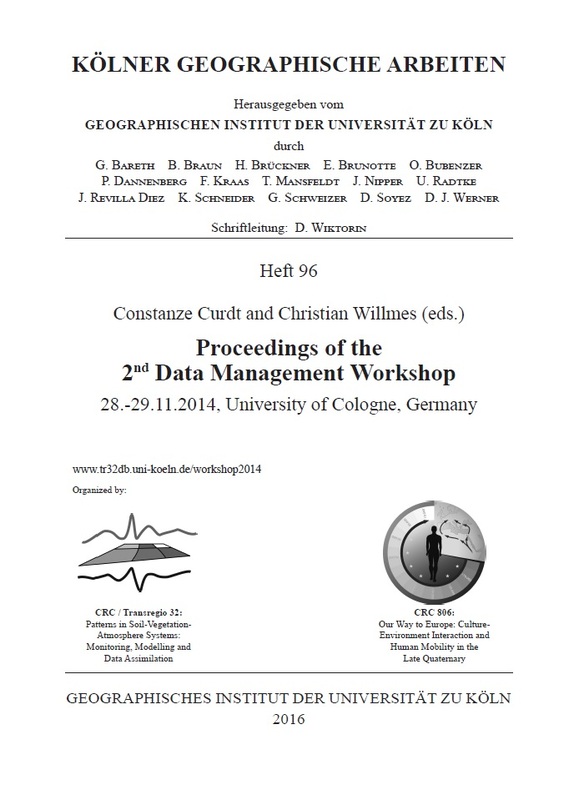 The 2nd Data Management Workshop will be held from 28 to 29 November 2014 at the University of Cologne. The focus of this workshop is on (interdisciplinary) research data management. The aim of the workshop is to bring together managers and developers of project databases, repositories or data archives, data scientists, information scientist, librarians, and funding agencies. The workshop program offers invited talks and extended poster sessions. Workshop participants are welcome to present poster contributions. 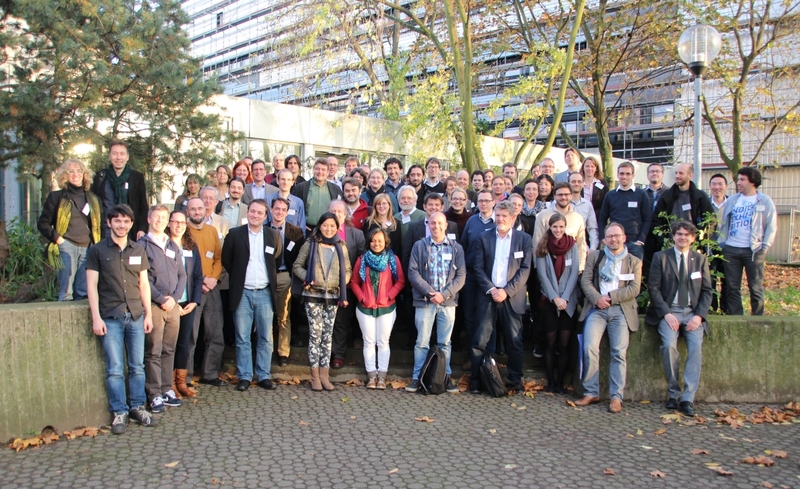 This workshop is mainly organized by the research data management projects (INF-Projects) of the DFG-funded Collaborative Research Centre / Transregio 32 (CRC/TR32) ‘Patterns in Soil-Vegetation-Atmosphere Systems: monitoring, modelling and data assimilation’ and the DFG-funded Collaborative Research Centre 806 (CRC806) ‘Our Way to Europe: Culture-Environment Interaction and Human Mobility in the Late Quaternary’. The project database of the CRC806 is accessible at www.crc806db.de. Information about the previous 1st Data Management Workshop, which was held in 2009, can be found here. In the context of this workshop the publication of the Special Issue on ‘Research Data Management’ of the ISPRS International Journal of Geo-Information (ISSN 2220-9964) emerged.16 papers were published successfully. The Special Issue can be found at the Special Issue Website.